Client retention is a key way for personal trainers to keep their fitness business growing. Instead of putting all your energy into picking up new clients, you need to focus some of it on keeping the ones that you have. Providing an exceptional service goes a long way; most personal trainers report that their best qualified new leads and clients come from referrals. Clients will refer you their friends and family if they are super excited about your services. As you continue to work together, they will often want more from you, which means that they're more valuable as a client. Giving gifts or sending well-wishes to your clients is a fantastic way to improve their customer experience and retain them for longer. It’s a win-win; It helps your clients to feel appreciated, and don’t feel like they're just a money-maker for you. However, it's important to get it right if you want to impress and stay on the top of mind. 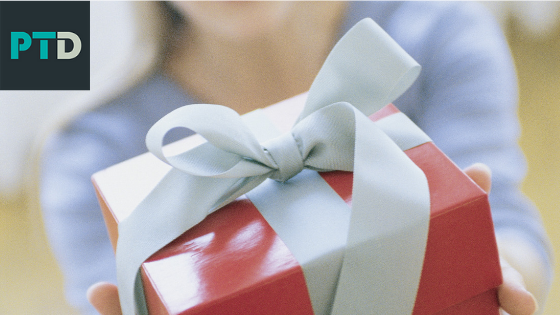 Why Give Gifts to Your Clients? There are many reasons giving gifts to your clients will have a beneficial effect on your fitness business. Firstly, it shows them that you're thinking of them and that you appreciate their business. Giving a gift or sending a message allows you to connect with clients on a more personal level and put extra personal into personal training. Even if you train your clients online, expressing that you think of them as a person is a nice gesture and will have an impact on your business’ success. You can still maintain a professional relationship between client and trainer, but also take a friendly approach to the way you work with people. Giving a gift can be a way to encourage your clients and to show that you're invested in their journey. If you want to maximise the happiness your gifts, cards, or notes bring to your clients, there are some things to consider. Although sending cards, or messages on special occasions, such as Christmas or their birthday, is always a nice idea, you could get overlooked among all the other cards that your clients receive, so the impact would be quite low compared to sending something on a different day. A more personal message is often appreciated more, such as sending a postcard when you're travelling. Generic gifts and consumables don't offer a lasting impression unless you understand a specific preference of your client and are willing to go the extra mile in delivering within that. Think rare whiskey collectors, a hobby they have. In those cases, it’s important to hit the nail on the head with your choice. To choose client gifts that they will love, you need to remember the importance of personalisation. People prefer receiving gifts that have had some thought put into them. Even if they don’t expect anything, if you give them something that’s unique to them, especially if they end up using or seeing it repeatedly, you will be on top of their mind. Generic items are much more likely to be re-gifted to someone else. There are plenty of ways to personalise a gift for a client, from writing a handwritten note that acknowledges their achievements to ordering branded items that are personal them. You can choose between gifts that are single-use or decorative or ones that your clients can keep using again and again. By giving your clients gifts that are useful and last a long time for them, you also give them something that has a lasting value for you. They will appreciate the gift more, and they'll be constantly reminded of you and what you've done for them whenever they use it. Wile including your branding on them may not always be a bad idea, make the gift about them, not about you. Believe that they will spread the word about the origin of the gift, whenever they have the chance. When you're choosing gifts for your clients, remember the most important elements of selecting ones that will deliver the most value. Your gifts should have a personal nature that connects your client with you and your service. You might gift a client something with their name on it or with some words that are important to them (or even an in-joke). Make it personal to them, even if you choose to also put your logo on it. Select gifts that give you more impressions. Instead of giving gifts that can only be used once, give your clients gifts that they can use again and again. You can personalise them too so that they're even more likely to use them. You might choose something like personalised mugs, water bottles or even a rucksack or a sweat towel with their favourite quote on them. Try giving client gifts that relate to your service in some way. You can be creative and think of something that doesn't necessarily relate directly to personal training but might have something to do with being active, energetic or be generally related to fitness, health, and happiness. Examples: smart alarm clock for someone who struggles to make it out of bed, a specific equipment they can use at home to complement their workouts or a book on a topic they want to lean about or find challenging to crack. Client gifts don't need to be expensive. You can derive excellent value from them without spending too much. A quality product like a good water bottle doesn't cost a lot per unit, but it looks great and more expensive than it is. By choosing a quality gift, you can deliver maximum value for you and your clients without breaking the bank. Choose the right gifts for your PT clients, and you can improve your client satisfaction and retention to boost client value. How can you find out more about your personal training clients? Focusing on the conversation in-session so you can eventually find out personal information is a good start. If you would like to get to know your online training clients better, you can always include a few relevant, but more personal preference related questions in your initial lifestyle questionnaire and/or ask questions during your coaching calls and check-ins that will encourage them to share more about their life.